Without words, my dad faithfully repaired the doorframe every time my teenage angst slammed it off its alignment. No one ever asked him to check on me after an outburst that ended in tears behind that slammed door, but he always did. My dad loved me despite the massive cloud that took over from time to time during those hard, teen years. When I was wrong. When I overreacted. When my heart was broken by some boy. My dad always checked in to make sure I was OK. He reminded me who I was and that he loved me. 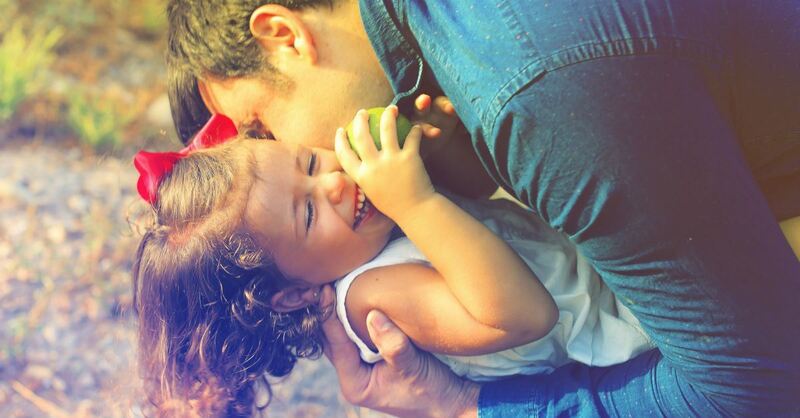 I realize not everyone is blessed with the same story, but from the outpouring of mine, I share ways that fathers can forge lasting and real relationships with their daughters. It’s not rocket science. Rather, it’s simply putting the door back on the hinges, wiping the tears away, and lending hugs to let them know they are loved more than they could possibly understand. The flight path from mailbox to front door is well worn during the Christmas season. Little feet tear out of the car after school each day to see which toy catalog was delivered while they were gone. Inside those pages are toys that they never even knew existed before glancing over glossy pages. Each with a different colored Sharpie in hand, they whir away circling and circling …“Where do think you’d even put all of those things?” I try to reason, but they are much too overtaken with glee as they imagine the possibility of holding onto all of this cool new stuff. Our kids need us to intervene in this annual scene of greed. One good way to do it is by teaching them to part with and pass on some of their older toys. Learning to physically part with things is a healthy habit to instill. Another way to encourage practicality in their Christmas lists is to limit the number of things they are allowed to ask for. And lastly, don’t reinforce the madness by gifting them the very things that we’ve just tried to convince them they don’t need. Here are some great gifts that exceed the value of this year’s hot toy list. To continue reading, click here.